What Mysteries and Meanings Are in a Last Name? My last name of Burns passed from dad, his father before him and so on is of Scottish heritage. I carry the Scottish name and history. The Scots withstood a great deal of fighting for independence from the English forces and survived savage wars. While I’m a mix of Scottish, Danish, and British blood, it’s clear that the Scottish name I’ve inherited runs deep in my blood and identifies me the most. Lately, I've been pondering this fighting spirit handed down to me and wonder if in receiving it means being presented with an abundance of challenges to fight – a woman warrior fighting battles. Women are fierce warriors capable of succeeding in extraordinary feats. In Scottish terms, it's called Laoch, which means warrior; person of great bravery. I've appreciated being told I'm brave, but no longer want to carry the pervasive fighter spirit my father was so proud to see shine in my true nature; except that I was thrown into circumstances early on that required a feisty fighter and not sure I had another choice. Had my mother lived, maybe the Christopher traits would've been more predominant. Do men think about their DNA in a last name more than women? They automatically carry the name through sons. Do women who marry and take their husband’s last name think less of the mysteries deep in the DNA of their maiden name? Since I haven’t had family for a long while, I acknowledge my last name to give myself a stake in the world; making sure I exist. There’s no one to carry the name any longer so I think about it. All of us have fighting spirits and a resilient built-in strength, and some of us find ourselves in fight or flight more than others. If I’m not a fighter, then who would I be? How would I have not held that machete and fought my way many times through the jungle of challenge to an opening where the path cleared, if not for being a Burns Laoch? I’ve burned with anger as I’ve made my way over the hurdles time and time again searching for a breathing spot on top of a moor with my hand shading blue eyes looking out to sea. 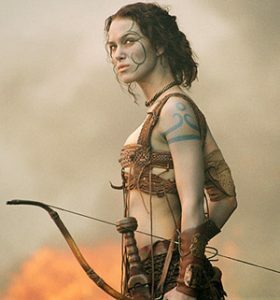 Considering the female warriors before me riding the stars somewhere in the twilight blue sky, I ask for the gift of shedding the armor for good because I burn with the desire to soar not simply survive. I want to live a life of ease sitting outdoors at the tables of European cafes watching the world go by, and swimming in the aquamarine Tahitian sea staring at fluffy clouds above. Burns represents fiery hot in our minds, a fire that continues to burn. The passionate fire has been turned down to a very low flame that one more hit could possibly extinguish forever. I’m aware of a familiar flame, but it feels nearly outside of me; hovering somewhere in perpetual pause. All I can do is tuck away the emotions and anxiety when out in public. I'm experienced at putting on my actress hat to appear strong and together when need be, and I’m also an expert at turning on auto-pilot when necessary to protect myself; auto pilot in a coastal resort town where things appear to be perfect. Perhaps there will be this clear moment when the flame within me will be ignited brighter than ever before. Maybe this is what we’re programmed to do. Have hope. Keep going. Continue marching on auto-pilot during heart wrenching times when it provides a way to put one foot in front of the other. It's the wisdom of ebb and flow; yin and yang of life that you can't escape hearing or reading about. The river keeps flowing and ocean waves pound the shore when a storm strikes without notice. 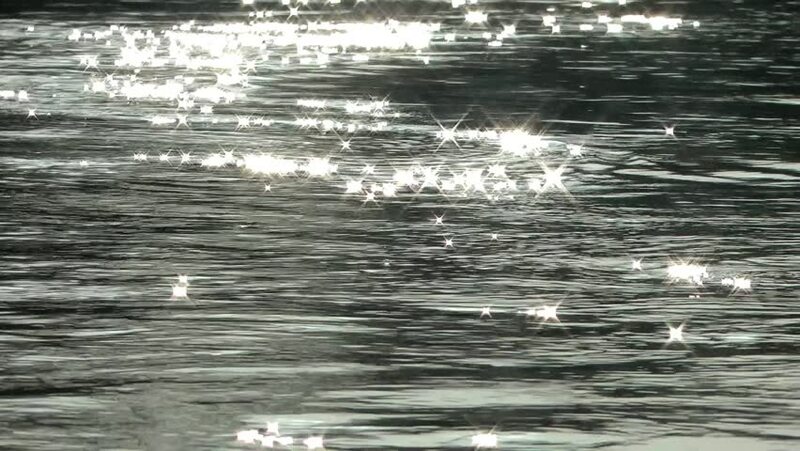 Showing compassion for all those in their own personal struggles provides a sunlit sparkle to the river of life. I recall my flaming red breast burning with the first infection that struck with no mercy, and it was swollen to the size of a water balloon that no amount of antibiotics or harrowing radiology fluid drainings involving needles, tubes and glass jars could squash. So, me and my angry red breast were rolled into an emergency surgery. I survived. But it came back even more infected and inflamed a year later. In my high fever state, I didn’t think I’d make it through surgery. I was put out so fast that I didn't have time to call on my fighter spirit or contemplate death, and if I could come up with last words. I had felt a searing anger as it overtook me and my hopes of recovering sooner. Once again, Cottage hospital that became a second home, took me in for emergency surgery. I was dressed and prepped for battle with the name of Burns on my hospital wrist band. I woke hours later not on the other side seeing the light, but in a hospital room for a sixth ride with nurturing nurses. I was a weakened warrior feeling no end in sight. Compassion I received from nurses, friends, and strangers cushioned my ride in raging waters encouraging my mermaid spirit to keep from drowning. Even though I'm conscious of detecting the flame of passion that use to burn bright is low, I can sense it trying to get my attention. My focus isn’t there yet and not sure it will ever be the same. I use to have my passion flame turned on high, but years of valiant efforts toward manifesting desires and dreams that failed; often going unnoticed or unexpressed proved to be less fruitful and more painful. It tended to set me up for longing, disappointment and being misunderstood. Passion for causes and hopes will burst through my soul at inopportune times – As much as it can be a gift to care so damn much, it scares some people. I ache with this intensity for many worthy causes I feel are so crucial for the planet, or for beauty I witness in the world that I must find a way to describe. 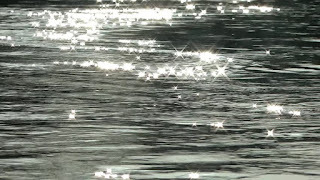 There are those moments, even seconds when I connect with someone who sees me immediately, (the Laoch and so much more in the deeper truth of me) that I have this sensation of breathing free for the first time. My heart opens to possibility of love. I burn with a desire to be the woman and lover that I am or once was before diagnosis. My romantic spirit burns with the need to be realized and utilized. For now, it stays with me wrapped in classic movies, rich and colorful novels, nineteenth century poetry in a time where horse drawn carriages delivered envelopes with hand written prose of love. I’m no longer young where romance seems possible on a daily basis. I’ve been on the battle field where I’ve had to fight for my life more than a few times. What now? It’s as if I must introduce myself to myself. It has been said, “know thyself”. I don’t know that I can blame this lost feeling solely on anesthesia, trauma, loss, and pain, or even the DNA of my last name. But I know that even though compartmentalized somewhere within are the familiar desires, blossoming in them feels out of reach right now. The warrior spirit is dormant, and I hope to be the caterpillar transforming into a new me with wings; a fresh chapter where I gain a renewed fervor for life and sparkle again. 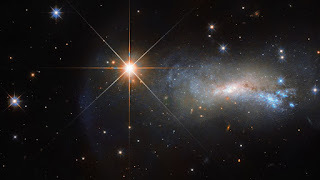 The brilliant glow of star light that is within us all can dim and then surprise us by twinkling bright again. We are made from the same atoms as stars - What an exceptional scientific fact to embrace! We human beings are literally star dust, which connects us to an infinite Universe. What burns more vibrantly than that?